“The Oman transfer of 10 is the single largest transfer to a single country at one time under the current administration,” A Pentagon spokesman told the media. Since the beginning of 2016, 14 detainees have been released from the detention facility. Previously released detainees include Al Qaeda terrorists and a man who pledged to kill Americans should he be allowed back home. Moreover, the Obama Administration expects to release at least three more detainees by the end of January, officials told VOA. 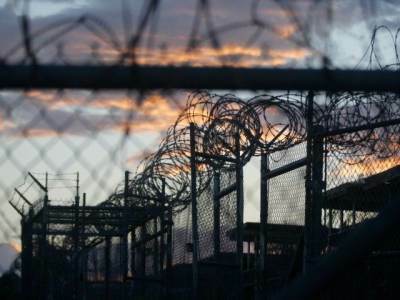 There are now only 93 detainees at the Guantanamo detention center. The detainees released are: Fahed Abdullah Ahmad Ghazi, Samir Naji al-Hasan Muqbil, Adham Mohamed Ali Awad, Mukhtar Yahya Naji al-Warafi, Abu Bakr Ibn Muhammad al-Ahdal, Muhammad Salih Husayn al-Shaykh, Muhammad Said Salim Bin Salman, Said Muhammad Salih Hatim, Umar Said Salim al-Dini, and Fahmi Abdallah Ahmad Ubadi al-Tulaqi. Some of the aforementioned men were associated with Al Qaeda and/or had close ties to Osama Bin Laden’s inner circle, according to leaked files. Lee Wolosky, a State Department envoy who negotiates transfers, told the media that the Administration will work to release 40 more of the alleged terrorists by this summer. In his State of the Union Address Tuesday night, President Obama pledged to continue “working to shut down the prison at Guantánamo,” claiming it serves as a “recruitment brochure for our enemies.” In 2008, he vowed to shut down the facility shortly after he took office. A recent Politifact review found that Guantánamo is not a “key component” of jihadist recruitment. Groups such as the Islamic State rarely discuss the facility in their propaganda magazine, Dabiq, or through their various multimedia endeavors.